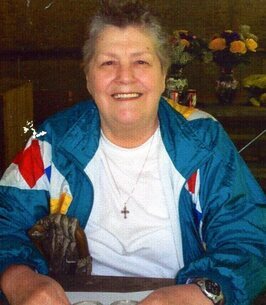 Mary P. McKinnon Service Details - East Liverpool, Ohio | Dawson Funeral Home, Inc.
"Sisters at heart , never far apart I Love You and will see you again"
LISBON – Mary P. McKinnon, of Lisbon, passed away Saturday morning, November 3, 2018 at the Cleveland Clinic following a lengthy illness. She was 74. Born in Los Angeles, California, May 30, 1944, she was a daughter of the late Charles and Lila Tanner Morris. She lived in this area since 1978 where she worked for the Community Action Agency in the Elderly Nutrition Program. Mary was a graduate of Kent State University East Liverpool Campus where she earned two Associate Degrees. She was a member of the Tri-State Christian Church. Her husband, Rickie A. McKinnon, survives at home. The couple married October 2, 1984. There are two step-children, Casey R. Wirick of Texas and Jason A. McKinnon of Texas. There are 5 step-grandchildren. She also leaves her twin brother Larry Morris as well as two additional brothers, Robert Morris and John Morris and a sister, Judy Norris. A funeral service will be conducted at 11 am Tuesday at the Dawson Funeral Home where the family will be present one hour prior to the service. Mary will be laid to rest at Hammondsville Cemetery. To send flowers to the family of Mary P. McKinnon, please visit our Heartfelt Sympathies Store.